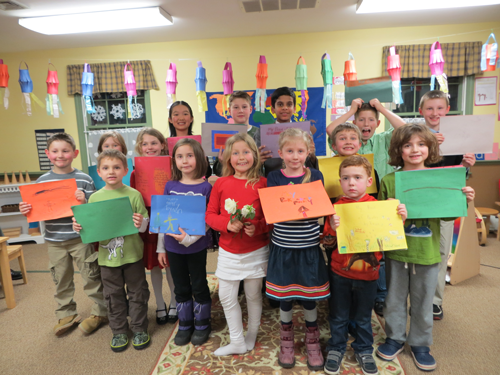 Country Village Montessori School's Lower and Upper Elementary classes held its 6th Annual Poetry Cafe on February 14th 2013 at 6pm in the evening. to the delight of families at the school. The children, ranging in ages from six to eleven, preformed their original compositions, including limericks, haiku, shape, rhyming couplets, personal, cinquain, and free verse. The annual event follows a study of poetry, forms and poets and culminates in each student producing their own "volume" of poems that are presented, cafe style on Valentine's Day in the evening. Parents provided a mix of sweet and savory snacks. The staff set the tables with candles and tea was served. The children are justifiably proud of their efforts and accomplishments which are on full display at our yearly event!